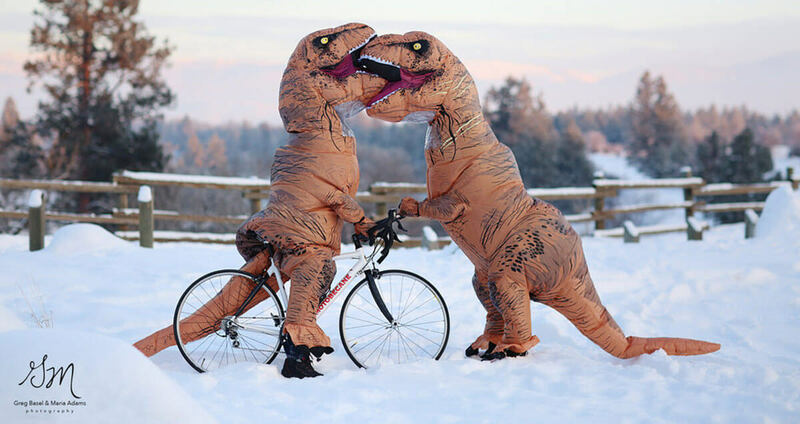 This is a match made in the Mesozoic Era. 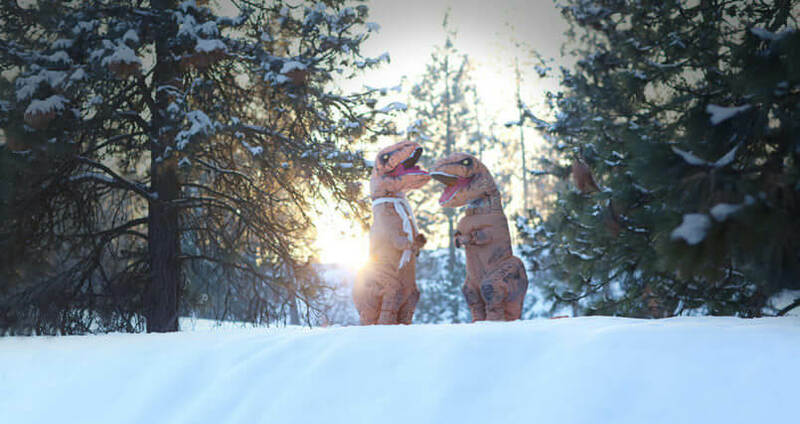 Two T-Rexes in love, and engaged! What a beautiful sight. 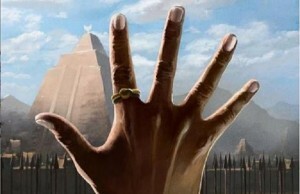 No matter how short their arms are, they will hold each others tiny hands forever. 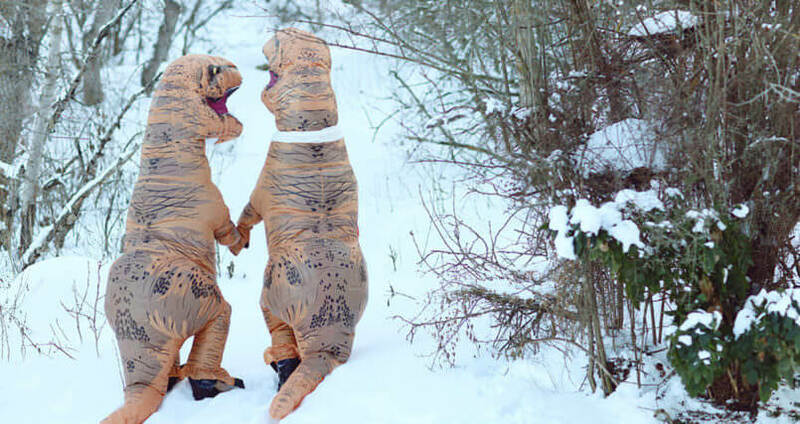 It may seem strange to see giant lizards walking around in the snow. 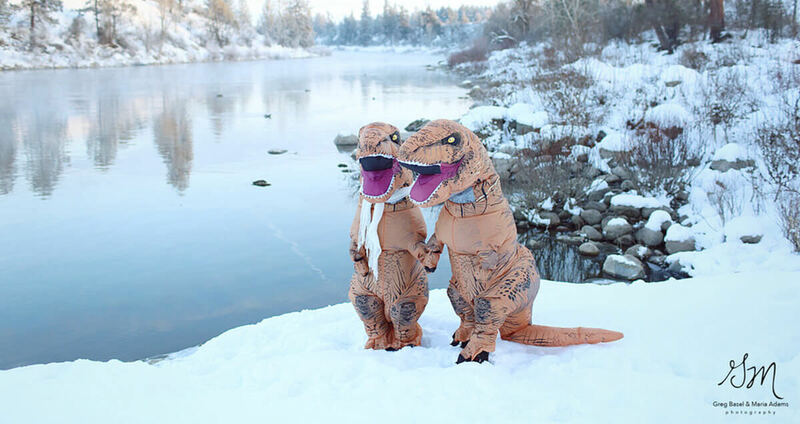 You’d think they’d be freezing, but I guess their eternal love keeps them warm. 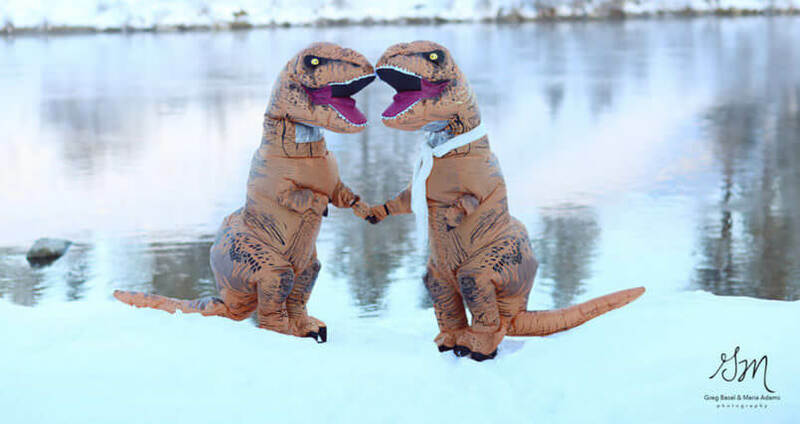 Just look at all that love in these funny t rex photos. It kind of makes one sick to see such mushy romanticism. But this has to give us all hope that there’s someone out there for all of us. Someone somewhere loves you. Even if you’re scaly and have pretty much useless appendages. 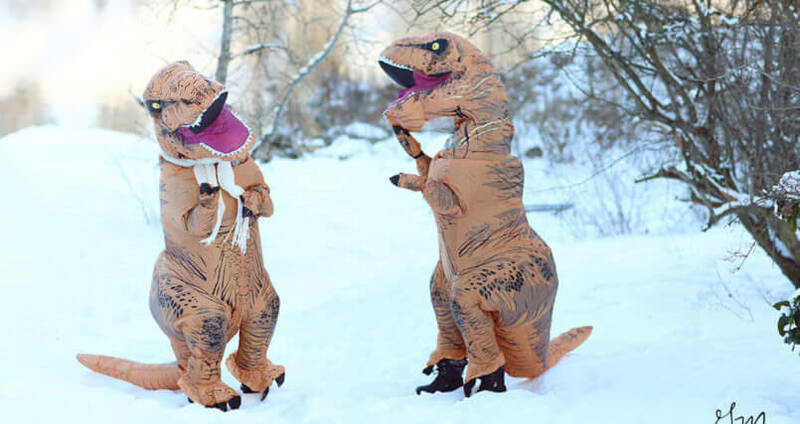 There are plenty of prehistoric lizards out there just for you. 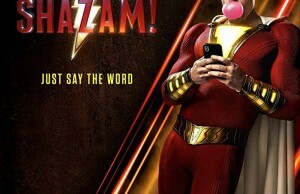 So take your pic. And when you finally find them, take some ridiculous yet sweet photos like these. Skip over the facebook selfies. Be classy and get a photographer. 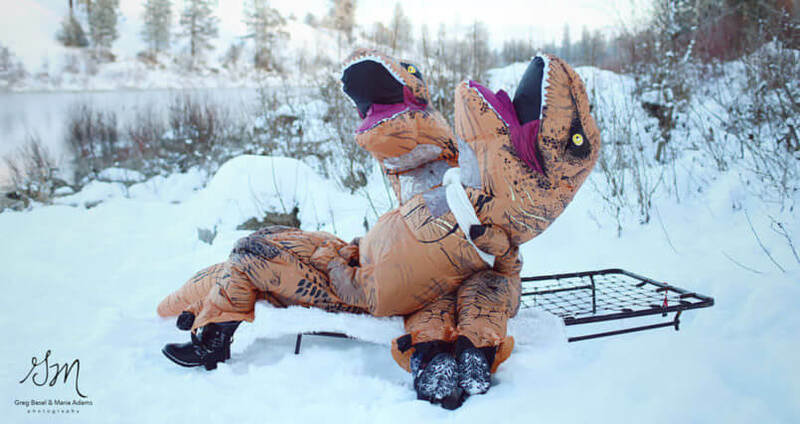 Maybe there’s a pterodactyl you know that has a photography business. 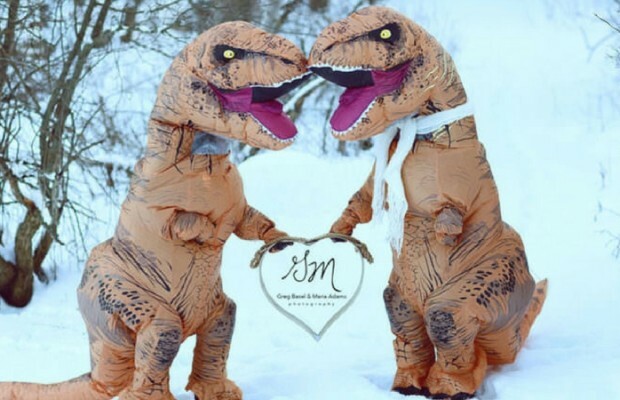 Take a look at these charming funny t rex photos and endless love birds and let us know what you think in the comments section.